If you’ve ever bicycled in the rain, you know that your choice of clothing–especially waterproof cycling pants–makes all the difference. I definitely have experience with this topic since I bicycled to work every day for almost a decade in Oregon. Currently, I live in New England and bike in even more extreme conditions. First of all, it’s important to note that some of the better bicycle pants are going to cost more than $100 if you want something that will maintain its water resistant membrane over time. As you decide how much you’re willing to pay, be realistic about how much beating you expect your waterproof cycling pants to take and whether some of features you find in the more expensive pants matter. In my own case, I found myself patching my go-to waterproof pants in several locations after 3-4 years of use and at least one or two crashes. However you spin it, waterproof cycling pants need to be tough since they’ll be repelling extreme weather, scraping up against your bicycle and most likely hitting the pavement at some point. While my go-to pants absorbed the brunt of my commuting, I had a few pair of cheap water-resistant pants as well. I used these cheaper pants whenever it wasn’t raining (or snowing) and I was simply cycling to work and wanted to keep my dress pants clean. This allowed me to prolong the lifespan of my nicer cycling pants, since I was more selective with their usage. As you do your own search for waterproof cycling pants, you’ll find a limited number of options with varying price points. After doing our own testing, research and comparisons, we share our favorites below. On the top of the list, is the Element Gore-Tex Active Pants by Gore Bike Wear–the best waterproof cycling pants on the market. 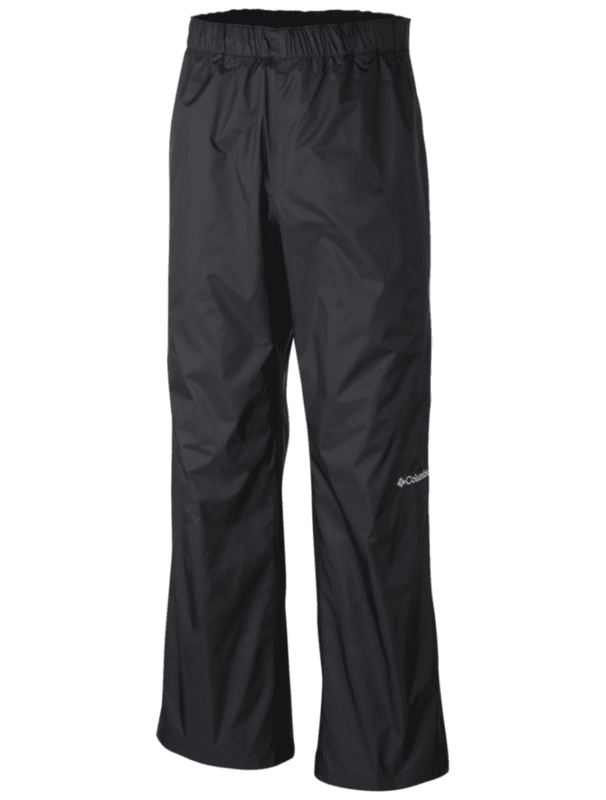 The Element Gore-Tex Active Pants are your best bet if you’re able to spend more than $80 on waterproof bicycling pants. They are made of polyester and treated with Gore-Tex, which enhances breathability and boosts water resistance. 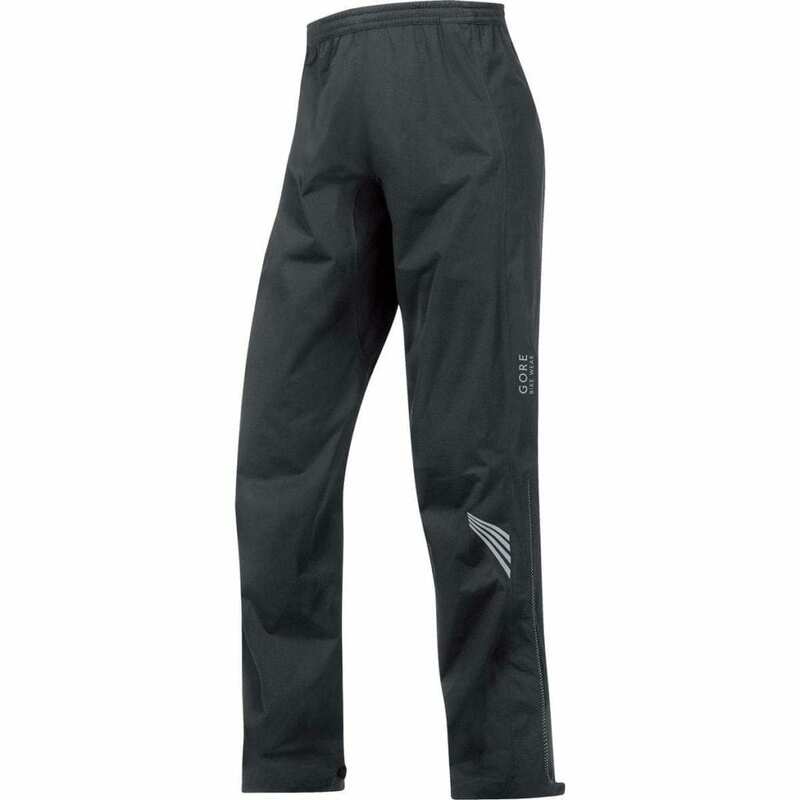 This means that not only are these pants wind resistant and waterproof, they are also very light and flexible. Because of the Gore-Tex membrane, these pants allow you to pedal and exert yourself with minimal obstruction since they come with pre-shaped knees, seat reinforcement and adjustable leg width. Leg width is adjusted with Velcro fastenings. As you hit the road, you’ll be thankful for the reflective inserts around the bottom of the pants. While there aren’t zippers on the front of the pants, there is a zipped stow pocket on the back of the pants. You won’t be able to stow something big in that pocket, but it’s a great place to store a key or something small. If these pants have a weakness, it’s the weak waistband. 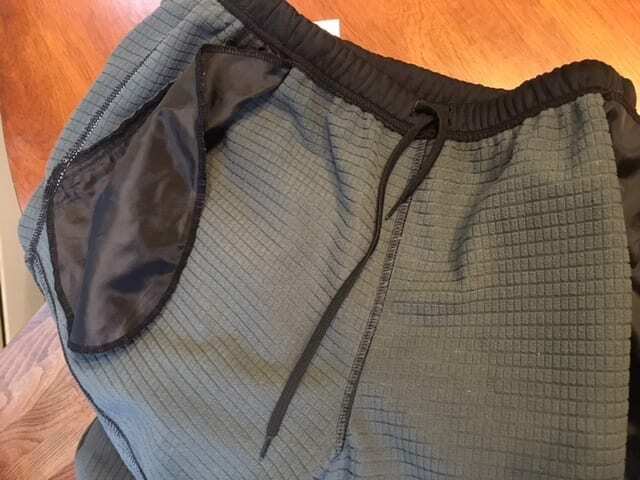 More specifically, the elastic waistband is thin and the full weight of the pants is held up by your best attempt to secure them with the waistband. You may want to consider purchasing bicycling suspenders if this becomes an issue for you. If you’re wondering how you wash these pants, they come with washing instructions that explain how to reactivate the Gore-Tex with each washing. You can also purchase Nikwax Tech Wash to help extend the life of your waterproofing. Also, consider the Columbia Men’s Rebel Roamer Pant ($44.00) for a similar style bicycle pant. The Showers Pass Transit Bike Pants are well constructed. They do seem to run a little small, so if your intent is to use these over your other pants, you should order at least one size above your normal size. Unlike Gore bike pants that have a back pocket, these pants don’t have any pockets. But, unlike the Gore bike pants, you won’t need to worry about the waist slipping down since the waistband is solid and you can also purchase some optional suspenders. The articulation in the knee is another feature that frees you up to move easily while on your bike. You’ll also find it’s easy to adjust the lower leg area with the ankle zippers. The video above illustrates how easy it is to zip the lower legs when you need to put your shoes on or take these off. If you’re ordering these on Amazon or REI, be aware that while the Gore bike pants are available in separate models for men or women, the Showers Pass Transit bicycle pants are available only as unisex. From our standpoint, that simplifies things. Be aware that if you’re a smaller woman or man, you may need to special order an XS. Material: Double-layer synthetic material (75% polyester) in the front and breathable material on the back; composed of 85% polyester and 15% spandex. The 4ucycling windproof pants won’t show up on any other list for the best waterproof bicycle pants–but they should. First off, they’re not entirely waterproof. But, don’t let that deter you. I wear these pants frequently during the cold, windy, snowy winters in New England and can only describe them as top-rate. More than any other pants I own, these are versatile. If you plan on hiking with them, no problem. Jogging, backpacking, rock climbing or bicycling…no problem. 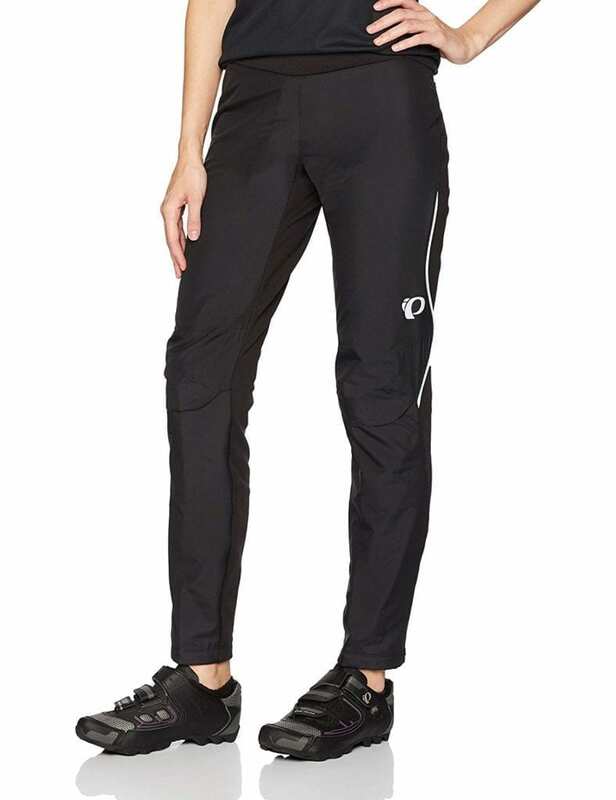 While my favorite pants of all time are the prAna Stretch Zion pants for men or prAna Stretch Zion for women, the 4ucycling windproof pants are capable of keeping you warm and comfortable while doing just about anything. 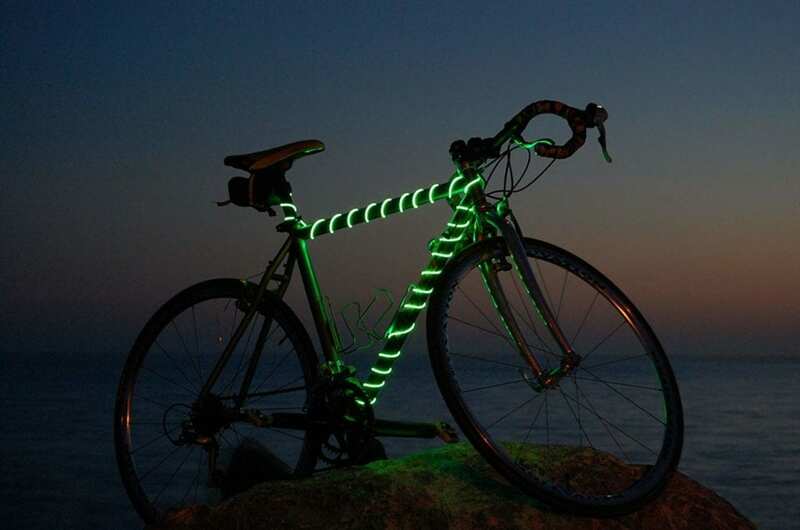 Just last weekend I was bicycling in rainy, cold weather for almost five hours–no problem! At the end of my ride, I was still warm and quite dry. While I wouldn’t wear them to work (like I would the prAna Zions), they’re perfectly fine for a trip to the store. 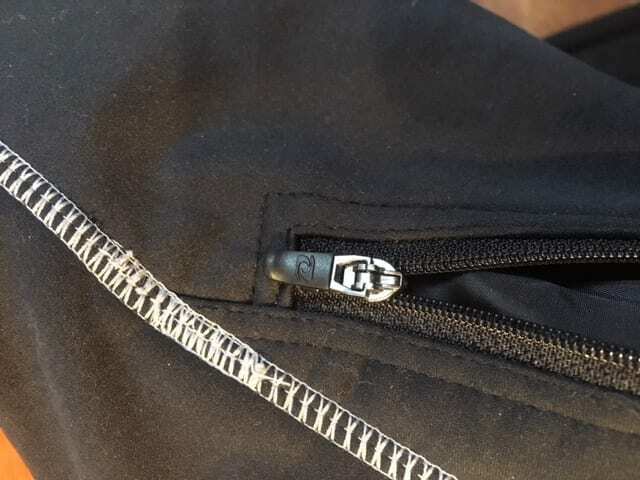 The photo below shows the quality of the zipper and the solid stitching. Back to the pants…did I mention that they are mind-numbingly comfortable? The thermo-lined fleece interior is truly sublime. 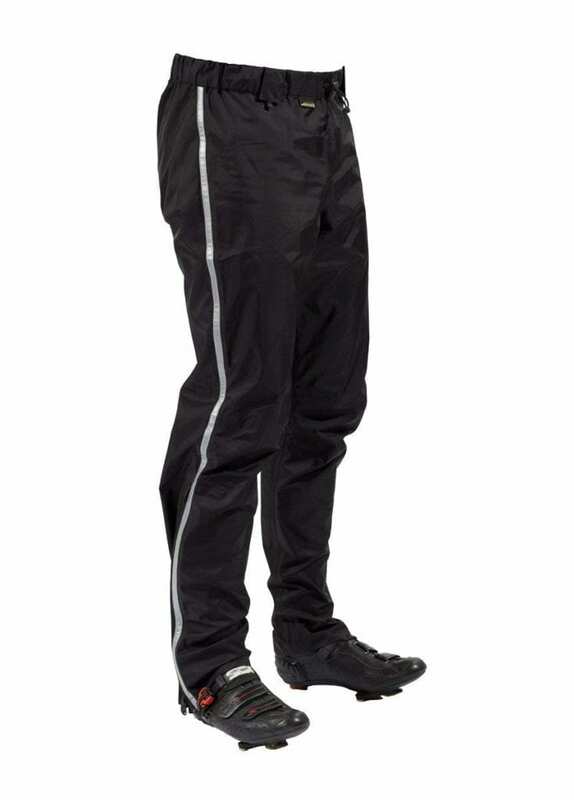 This insulation makes these pants suitable not only for bicycling, but also for any snowy conditions that require some extra protection and warmth. If you’re seeking additional warmth, you can always wear thermal underwear under these, but in most cases, you’ll find that unnecessary. The thermal retention capabilities of these pants are also enhanced by the draping design in the knee area, which form fits better than some of the more expensive options. While they’re not advertised as being “waterproof,” I would suggest they’re awfully close and up to just about any task you can throw at the 4ucycling pants. Short of jumping in a lake, you’ll find these keep you dry even while bicycling in rain or snow. In terms of storage, 4ucycling Windproof pants come with zippered pockets in the front. Surprisingly, they also come with zippers on the lower legs. 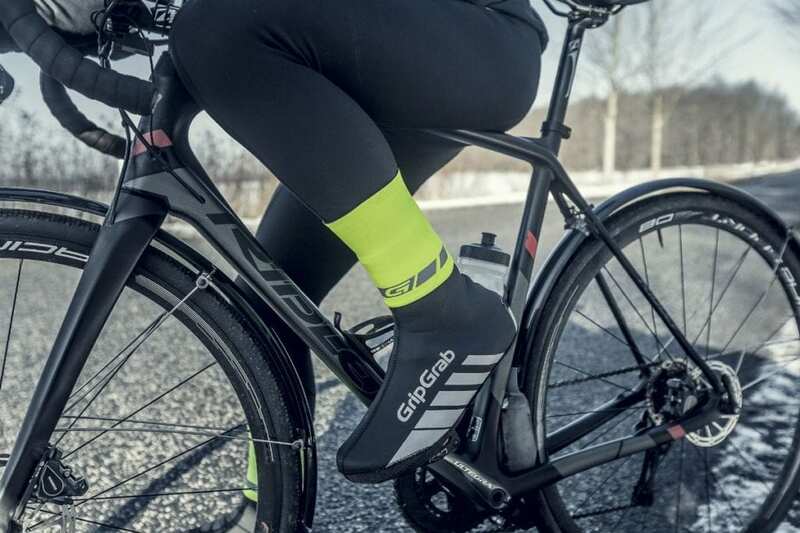 Since the tapered ankle area is shaped by elastic, you’ll find your legs are protected from snagging on your chain or any other part of your bicycle. We turned the pants inside out in the photo below so you could see the insulation, pockets and waistband. The waistband is very strong, but not too snug. So what are these pants made of? After wearing them for a few minutes, you’ll wonder how they did it. First, there’s a double-layer synthetic material (75% polyester) in the front, which gives the pants a unique water repellent quality without being too clingy or tight. If you’re looking for maximum mobility, you’ve found it. On the back of the pants, which is composed of 85% polyester 15% spandex, you’ll find more than sufficient padding and cushioning. If you plan on sweating in these, they’re not perfect, but you’ll find the over aeration is helpful to manage profuse sweating. In terms of size, I’m 5’10” 178 pounds and the XL fits perfectly. If you’re any bigger or if you want to have extra room, you should consider sizing up. 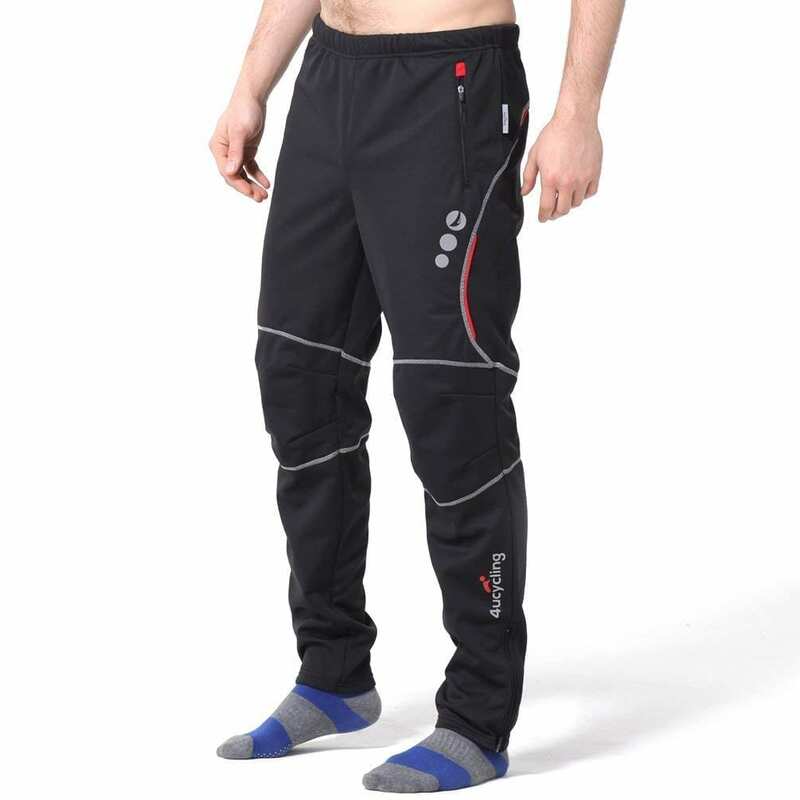 This is an all-weather pair of pants that uses Thermal Fleece with PI DRY technology. Although you won’t be able to wear your other clothing under these, they will deliver warmth and water shedding performance to keep you comfortable and dry in cool temperatures. With leg articulation you’ll have full protection for your legs without sacrificing range of motion. These are excellent waterproof pants. I have used them for years while bicycling to and from work. While they weren’t my primary bicycling pants, they were in many ways my all-around “go-to” pants for just about everything else that involved rain. Just last night I was outdoors watching a soccer game while it rained on me for two hours. These pants held up well and didn’t let a drop of water in. They are machine washable, but I’d recommend you review Norway Geographical’s article on how to wash Columbia jackets first. While they’re focused on jackets, the main concepts will carry over to help ensure you’re not damaging the Omni-Shield technology used by Columbia on these pants. While these pants are versatile, they lack insulation and the legs are relatively baggy. Subsequently, you should consider wearing thermals if you’re using these on a cold day or at least be aware that they’re not designed to keep you warm as much as dry. In terms of cinching up your pant legs, I highly recommend that you purchase several ankle bands. 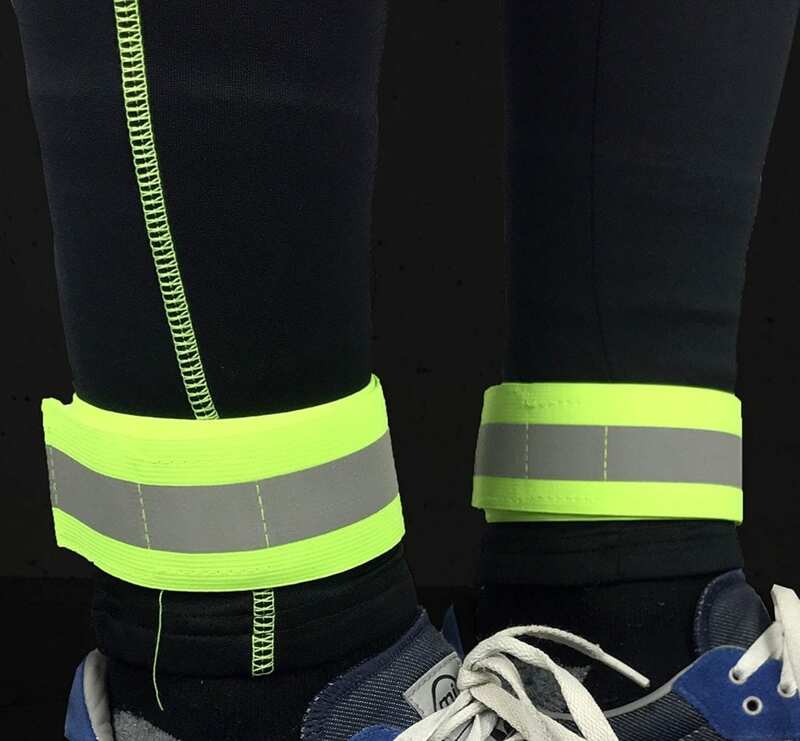 Unless you have a well-designed ankle band, you’re still probably going to get your pants caught in your chain at some point. I recommend HiVisible arm or ankle bands.